In its northwest corner, Washington State is blessed with one of the world’s great ferry systems. Taking the sailing between Seattle and Bainbridge Island on a beautiful sunny day, I became lost in thought staring out at Puget Sound and was reminded again how fortunate I am to live here. Orcas Island has been one of our favorite local spots to vacation. Our family used to camp regularly in the summers at Moran State Park, memories that our daughters still hold today. Lately, with the kids now grown and having their own families, my wife and I have been going to Orcas during off-seasons to avoid crowds. In the summer months, taking the ferry can be an exercise in frustration. 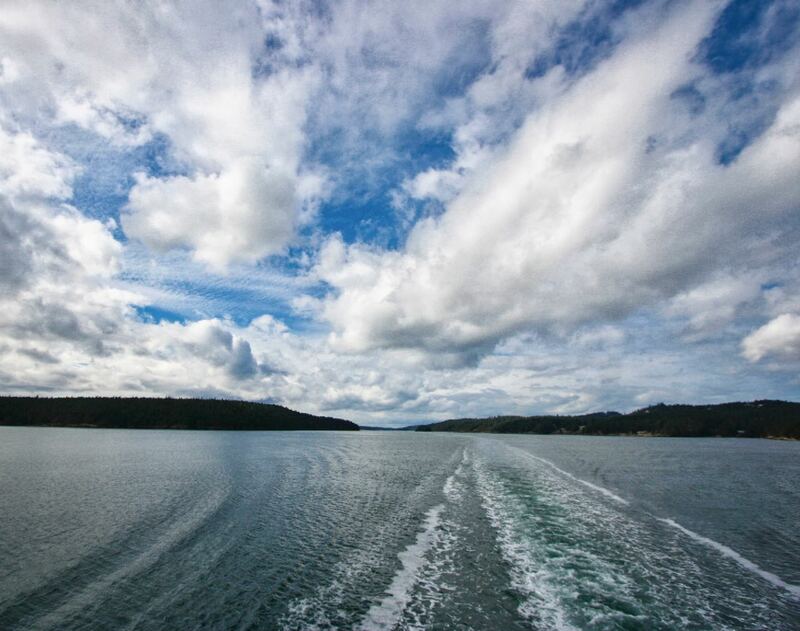 Still, I’ll never tire of ferrying through the San Juan Islands. We had never gone there in February and are not apt to again. It isn’t that we won’t appreciate the slower pace or minimal number of tourists but that many recreational activities and attractions are not available or open for the year. When we arrived on Sunday, the weather was still frosty outside. The higher elevations, like Turtleback Mountain, were covered in snow. I thought it would be spectacular to get a 360-degree view of the San Juans all covered in white from atop Mount Constitution, but as I suspected, the entrance was closed. And, when Monday rolled around, it snowed—quite a lot. In the town of Eastsound, Orcas’ hub and commercial center, which is a little above sea level, 8″ or so of fluff accumulated, more higher up. And the nights dipped below freezing. Lucky for us, one of our favorite bookstores, Darvill’s, was open for business. Restaurants, we discovered, are spottily open, at this time of year typically closed for two days of the week. We did appreciate that they must’ve arranged among themselves to stagger the closures on different days to always have a restaurant or two for tourists’ sake.